Snorkeling is one of the most excellent activities that you should not be missed when travelling to Nha Trang. The nature has endowed for Nha Trang many islands with white sandy beaches and the fantasy coral reefs under the ocean. 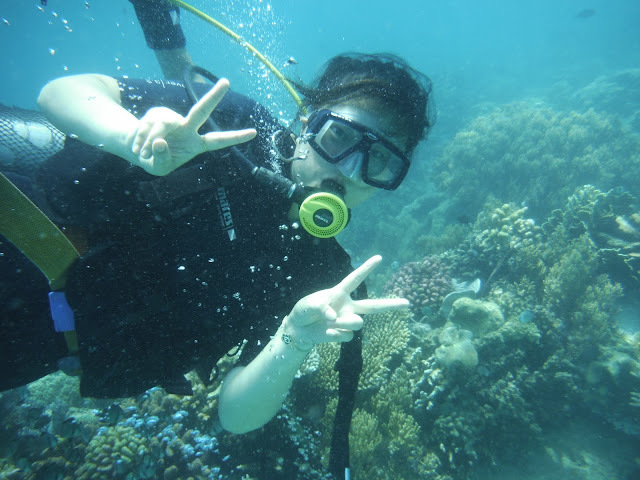 With these advantage conditions, Nha Trang has many opportunities to develop snorkeling services in here. So, if you want to get more fun for your trip in Nha Trang, snorkeling certainly is a perfect choice that you should take your time to try it. It would be impressive when telling with your friends about what you’ve seen at the depth of 30 meters. And there is nothing more wonderful when you have a picture taken with many creatures living deep in the sea. Diving is a popular activity for foreign tourists but not many Vietnamese people have experienced it. 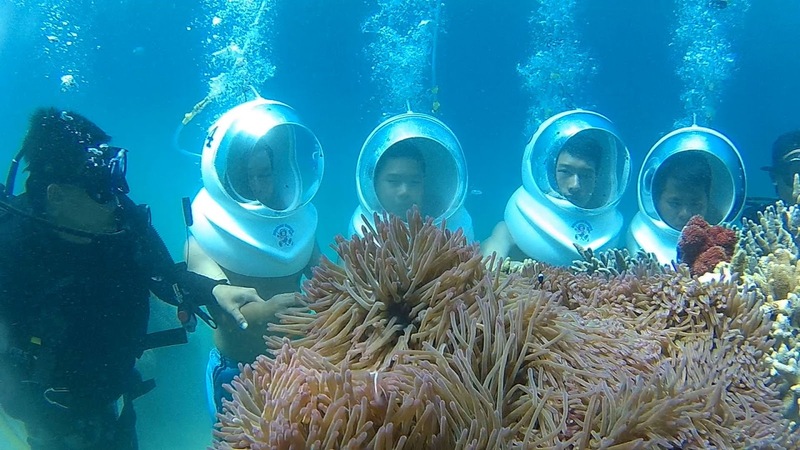 Recently, more locals choose to experience diving when they have a chance to visit Nha Trang. With an area of about 507km², including 19 large and small islands, Nha Trang Bay is one of the rare natural bay systems in the world. The bay contains many converging ecosystems such as coral reefs, mangroves, sea grass and much more. When diving here, people will discover a world of color under the ocean, and watch shrimp, dazzling fish and very healthy coral reefs. Travelers are advised to book their tours at agencies in Ho Chi Minh City, Ha Noi or Nha Trang to enjoy pick-up service at their hotels to be taken to Cau Da Port where they will get on a boat and move to the diving sites offshore. There are many beautiful places for diving in Nha Trang. However, Mun Island is the favorite destination for its good location. Prior to the real diving time, travelers will receive diving suits, fins, and dive cylinders to start training. 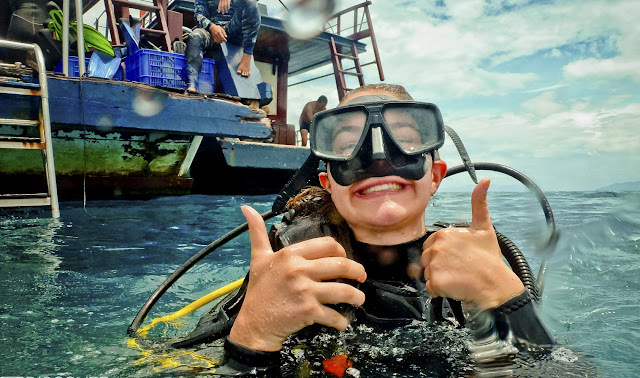 You will be equipped with the necessary diving skills and learn signs to communicate under the water, along with safety breathing training to fully equip you for your time under the waves. Here, visitors can dive snorkel, ride on a glass bottomed boat or walk on the seabed to admire the magnificent underwater world on display. With this activity, participants will get under water and start learning to use diving suits in shallow waters. Each guest will be accompanied by an experienced dive master who will support and instruct you throughout the dive. Those who haven’t had diving experience are allowed to dive no deeper than 10 meters. However, there are dives for all levels of experience including a Fun Dive (for existing divers), a Try Dive (for new divers), or an Open Water Course ( a 3-day basic dive training course. Due to the water pressure, travelers might initially feel out of breath coupled with mild symptoms of tinnitus (ear ache). But after a few minutes, you will be at ease and get to experience the majesty and peacefulness of life underwater as beautiful marine animals appear in front of your eyes. 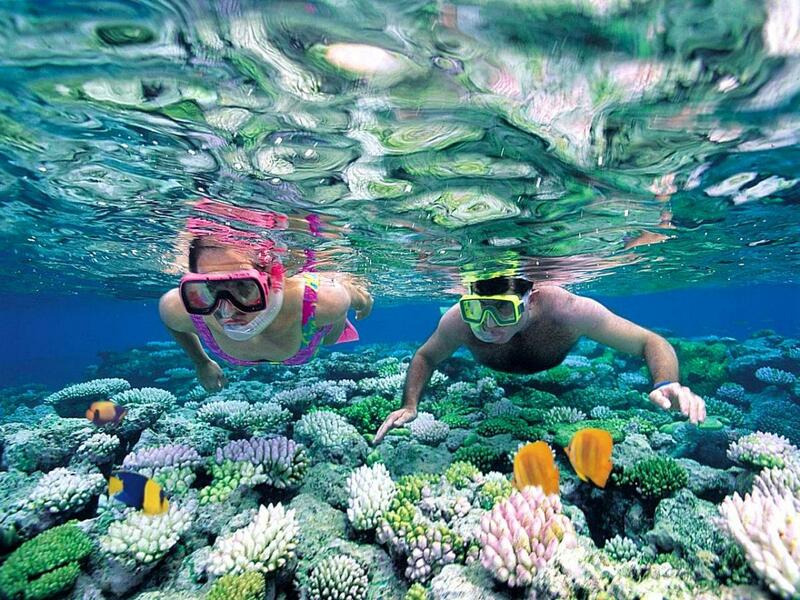 * NOTE: remember to do not touch those corals because they’re very soft as silk and need to be special protected.